"One of America's Premier Vintage Gun Dealers"
Note: We are selling our vintage guns WAY faster than we can find them! We usually sell our inventory to our regular clientele before we have a chance to list them on our website. If you are searching for a particular piece, please give us a call and we will do our best to find it for you! 'Dirty Harry Gun Sales' specializes in Smith & Wesson & Colt Firearms from the Pre-War era through the present. You will find that a large majority of our guns are 'New In Box' (NIB) or 'Like New In Box' (LNIB), and presented in their factory original packaging w/ factory original paperwork. First and foremost, we at D.H.G.S. are very passionate about our guns, so whether you are an avid collector or simply buying your first piece, we will do our best to deliver a buying experience that exceeds your expectations. We are an FFL Dealer and will only ship to another FFL Dealer. Please make sure that the gun you are interested in is legal in your state before purchasing. We will also accept a C&R license (Curio & Relic), as long as the firearm qualifies. Any firearm that is at least 50 years old, and in its original configuration, would qualify as a C&R firearm. We ship Fedex 2-Day Insured ($50 Flat-Rate unless otherwise noted in description). We accept USPS Money Orders, Cashiers Checks, Personal Checks & Wire Transfers. All Personal Checks will be held for 5 business days, no exceptions. We also accept Visa, Master Card & Discover Card. If you choose to use your Credit Card, please note that there will be an additional 3% fee per transaction. We will gladly take on high-quality consignments (from one piece to entire collections) at a competitive rate of 12%. Sit back and let us sell your guns for you! Now come on in and enjoy yourself! 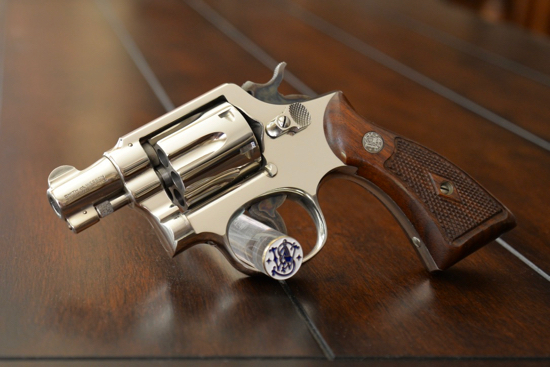 Dirty Harry Gun Sales Inc.
Colt Python .357 Magnum 2.5" Nickel Circa 1966 Box/Papers!